Retrofitting new technical systems into an existing building can be tricky. 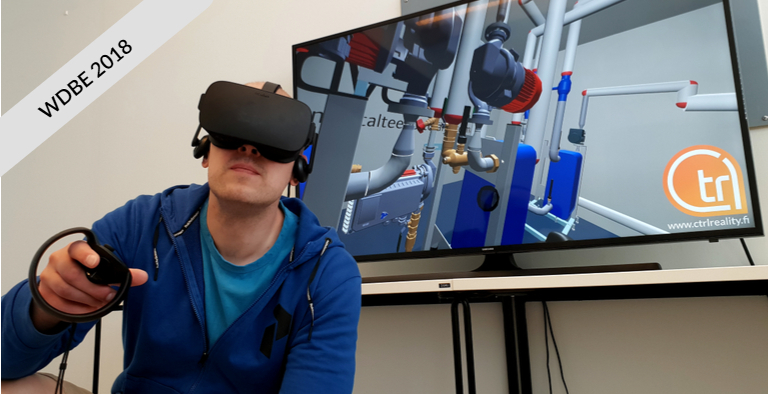 CTRL Reality, a Finnish AR/VR application development company, is completing an experimentation project demonstrating how HVAC design and installation are easier and cost-efficient with the help of virtual reality. Recently, CTRL Reality joined forces with the Naavatar industry group, which provides smart, low-temperature pipe network and heat recovery systems for buildings. The group has six members: Alfa Laval, Energianhallinta, Hydrocell, Oilon, Kolmeks, and Siemens. In June 2017, they started with CTRL Reality a government-supported KIRA-digi experimentation project on the use of VR in retrofitting Naavatar HVAC systems. Replacing an old heating system with an advanced one is not straightforward, despite the energy-saving and environmental benefits. For example, building owners are not sure if all the necessary pipes and components will fit in their existing distribution room. Mechanics installing the new system are not confident, either. Due to the uncertainties, they add a risk premium on the installation price and reserve excessive inventory of materials for the project. Once the system is in place, the people who will maintain the heating system need training and guidance. With an accurate model, the designer can start creating the new system in 3D, standing inside the virtual distribution room. Previously, an experienced designer would have only done this mentally, as Lehtonen has learned. “VR is more than just seeing; it’s about experiencing the space immersively,” he added. Now, it is easy to see how all the pipes and components fit perfectly and if enough space isavailable to operate and maintain the equipment. There is not a risk of designing intersecting pipes, as can happen if you draw in 2D. In addition, you can see if the doors are wide enough for bringing in the devices. Using an accurate model also saves costs during construction. The software outputs a precise bill of materials, so waste is minimized. Installation is fast as it has already been figured out in the virtual model. The mechanic gets the virtual model and traditional drawings, but also 360-degree photos and videos of the model that can be viewed on a mobile device. The Naavatar group vendors have 3D models of their equipment, and the models make up the design library for CTRL Reality’s app. The designer draws the pipework “in the air” using a selection of pipes of varying dimensions and insulation. 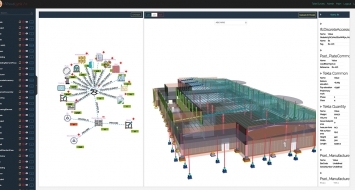 “Our software is not a full-blown BIM application. 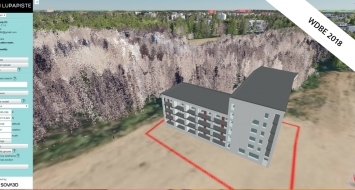 It is a VR app for designing a specific system in an existing space,” Lehtonen reminded. For maintenance training, CTRL Reality can either record videos of the model or let a virtual coach show how it is done. Vendors include maintenance and operational instructions in the model. In the future, it will be possible to display real-time IoT data on the model, as the company has already done in industrial applications.